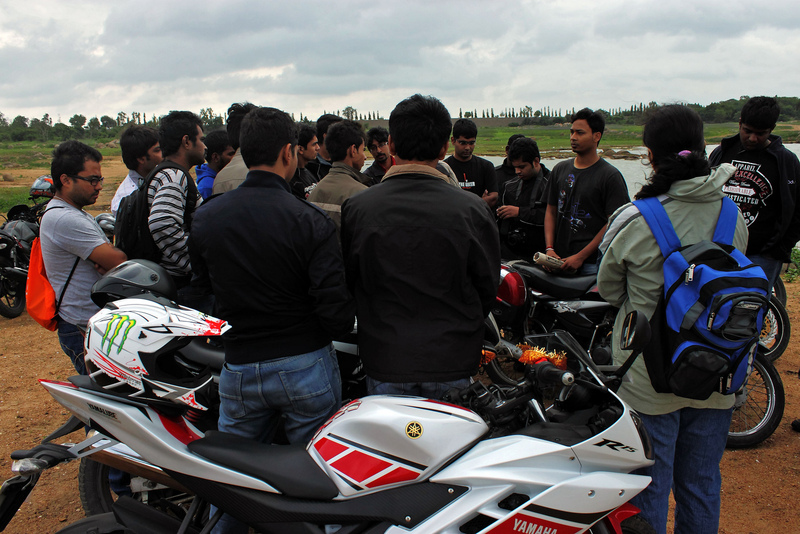 So after working on http://blog.toonheart.com/sneak-peek_mini-game-artwork/ till 4 am in the morning I hit the bed for a quick nap and unprepared for the Xbhp Get Together …. Woke up 7:30, got ready quick, revved Amitiel and got to the venue with directions help from Dhiraj. 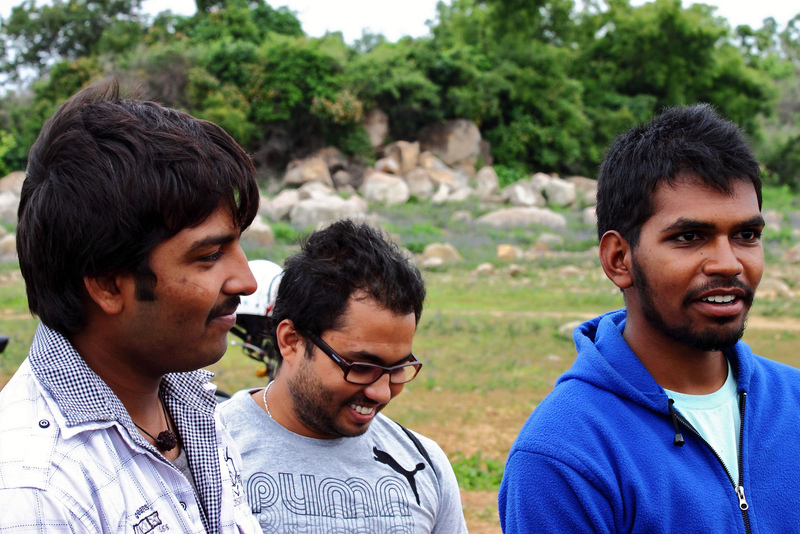 Met Kaleem ji, the eldest Xbhp rider who has ridden every road in India…. unbelievably true on 100cc bike. And the best part, he still rides, is hyperactive and is riding to Pakistan soon.. WOW!. 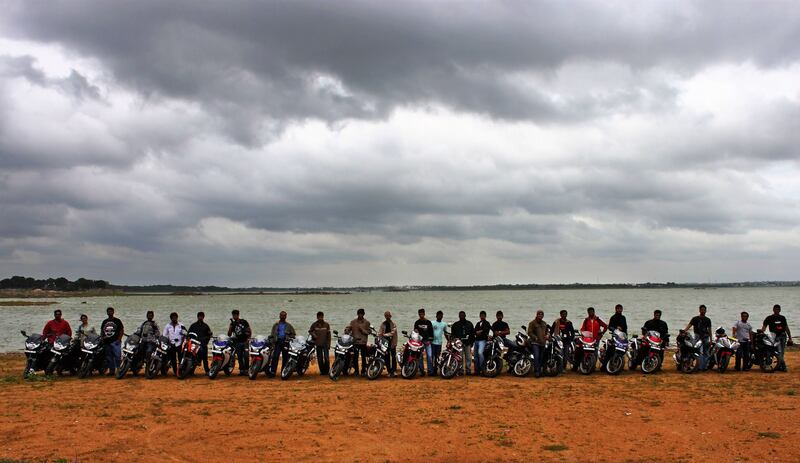 xBhp Hyderabad G2G – Find me? Broke ice with everyone, checked out awesome bikes and modifications (angel eyes, K&N, Joel’s racing kit) .., posed for snaps and we were off. 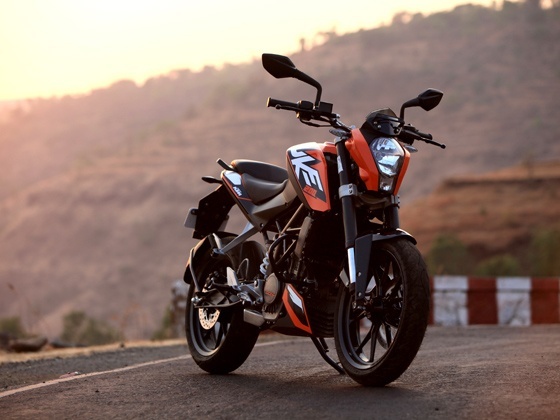 Way back, I wished to ride KTM Duke 200 (owned by Dheeraj, new xBhp member) and we swapped our bikes for a while. AND Boy KTM Duke is FAST !!! and SOLID. Unlike the first time I test drove it at Bajaj Probiking.. where it didn’t leave me impressed… This time it was a totally different ball game. “Personally”, I felt the rear brake rod should protrude out a bit more.. I missed it at-least thrice… which is not funny when approaching hairpin bends.. was almost close to flying off the road in a trajectory. Front brake should have given more feedback to the rider .. or is it because I’m not used to inverted telescopic suspensions. Also, realized a truth.. that my cornering skills have become rusty/horrible (now that I’m back to biking after almost 4 years) … I couldn’t corner Duke like I do on Amitiel.. entered corner fast but losing confidence half way (which is more risky if I have to use brakes during counter-steering). And watching Dheeraj corner effortlessly with both his Duke and my r15 v2.0 at higher speeds put me to hide my face in the sand. So, credit for whatever cornering I do on Amitiel goes to the design of r15 and not my skill. End of the ride, with his advice I revved my engine high and did a 120kmph (and still felt that it could do higher up) … Didn’t see how much on Duke, but it was ahead of me by atleast 3-4 secs. /me takes a facepalm. 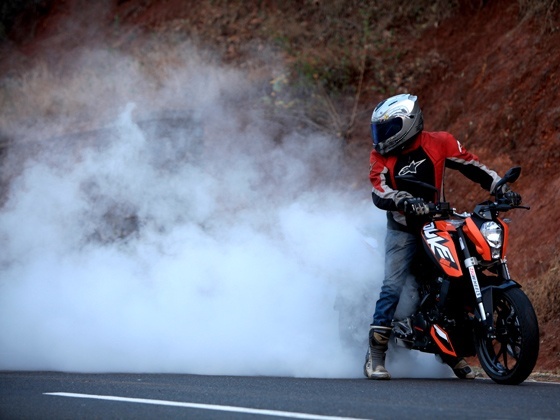 Picture Kredits: xBhp G2G Pics – Rakesh Kalli, KTM Duke Pics – Zigwheels. Thanks for the corrections 🙂 .. Updated. God-Dammit.. I feel so dumb now.